If you have been following along the last few months, then my favorite red cloche has made an appearance or two. I adore hats. I wish they never went out of everyday style, especially the art of millinery. I have collected a number throughout the years, but nothing compared to the millinery shop I like to online window shop. 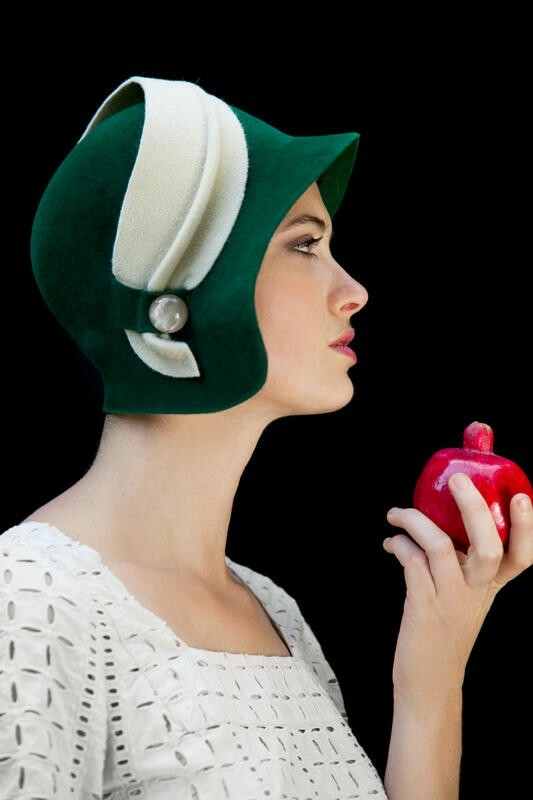 For a few years I have been drooling from afar at the works of art created by Behida Dolić (a Bosnian-born milliner based in New York). Her hats are like wearable sculptures and they never cease to take my breath away. If you ever long for 1920s and 1930s fashion today, then look no further than these hats. Due to the quality and time put in to each one, they run currently between $225 and $465 in price. Check out my favorite pieces below. You can see more on Behida Dolic Millinery's website, Etsy shop or you can connect via social media (Twitter, Instagram, Facebook). For those in the New York area, you can even see them in person at her shop in the Hudson Valley.